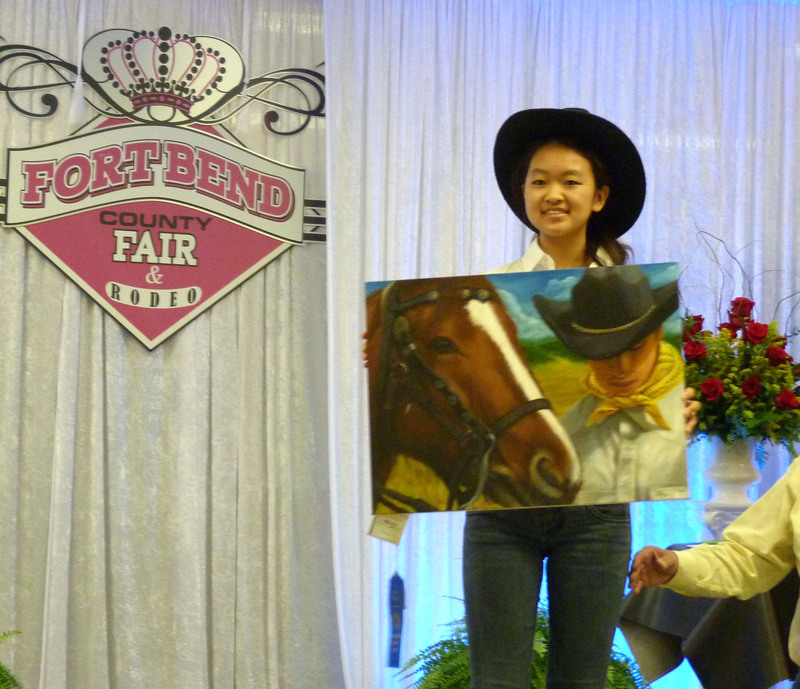 Fort Bend County Fair 2014 Student Art Auction was held at Rosenberg Fairground on Saturday, September 27, 2014. Nearly 200 people attended student art auction. The judges selected 23 high school students as art award winners, among them one was from Clements High School: Stacy Tao. Stacy is an 11th grade student in Clements High School, who is taking AP Art class this year, she is a student of art teacher Donna Reedy. Stacy Tao’s oil painting “Daily Prayer” was awarded 1st Place and auctioned for $1575. Congratulations to Stacy Tao and her art teacher Ms. Reedy! Pictured is Stacy Tao and her oil painting “Daily Prayer” at the art auction. This entry was posted in Art, Ranger News by rangeredtech. Bookmark the permalink.